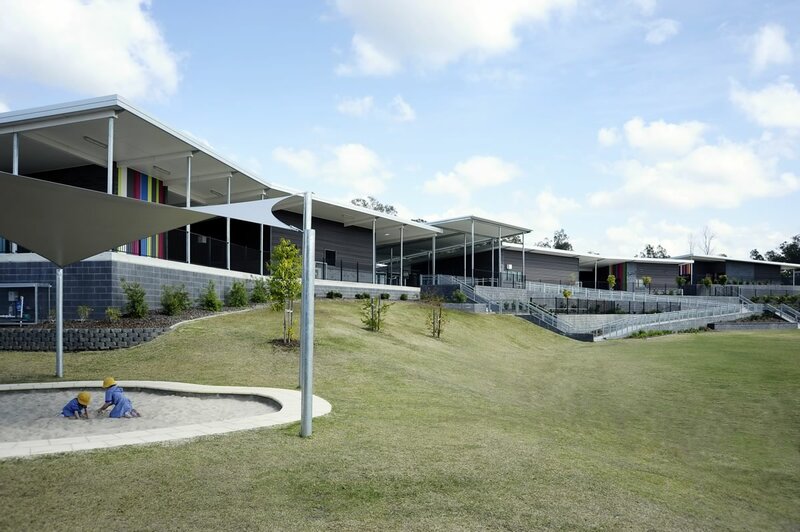 An integrated solution was delivered for Amberley State School with Meinhardt providing all engineering disciplines. The new school is designed by James Cubitt Architects on a green field site comprising approximately 15 buildings, staff & visitor car parking, bus & student set down zones, a sports oval & netball courts. The site bisected a natural overland flow path and required significant hydraulic analysis and subsequent swale/creek easements and bio-filtration zones. Due to the natural slope of the ground it also required significant bulk earthworks planning.